It’s that time of year again! We are excited to announce that our next Patient Appreciation Night will be held on May 3, 2014! 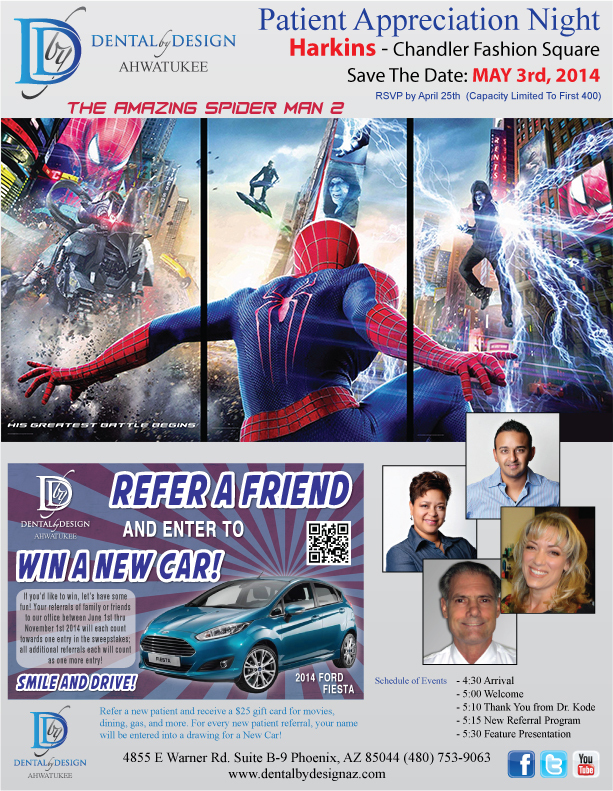 We will have a private screening of Amazing Spider-Man 2 at Harkins-Chandler Fashion Square. RSVP to this event at our office by April 25, 2014!